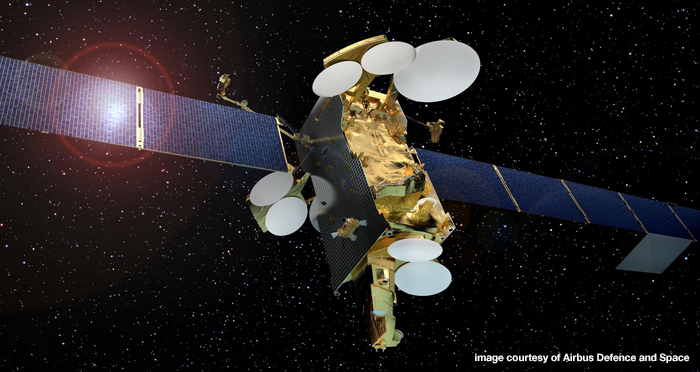 Following the launch of SES 12, Reliance has supplied a further quantity of the component to Airbus, this time for use in their new satellite platform, the Eurostar Neo. Despite the complexity of the manufacturing and metrology involved, all Airbus’s design features and stringent product assurance requirements have been met in full, strengthening Reliance’s growing reputation for high quality, on-time delivery to the space sector. 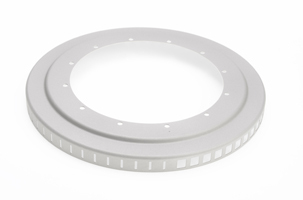 “The Shutter Sensor is a technically challenging component because its overall geometry and cross section are in-line with what you would expect for a sheet metal spinning or forging process. It wasn’t actually possible though to use these processes due to the choice of material and the tight geometric, linear, angular and surface finish requirements. A subtractive machining technique was the only option. This is extremely difficult on something with so little stiffness and so some inventive manufacturing processes had to be developed in order to produce a flawless component, correct to the customer’s specifications and with repeatability”. This project demonstrates Reliance’s unique breadth of specialism in manufacturing – from understanding the behaviour of material to innovation in manufacturing techniques, together with metrology expertise to ensure that effective data is provided to evidence manufacture-to-drawing and produced a verified product.